Over the last year, the D4L team has been “taking their show on the road” to present about D4L at a variety of library conferences. Now we’re taking our presentation to a new and different setting: the virtual world of Second Life. 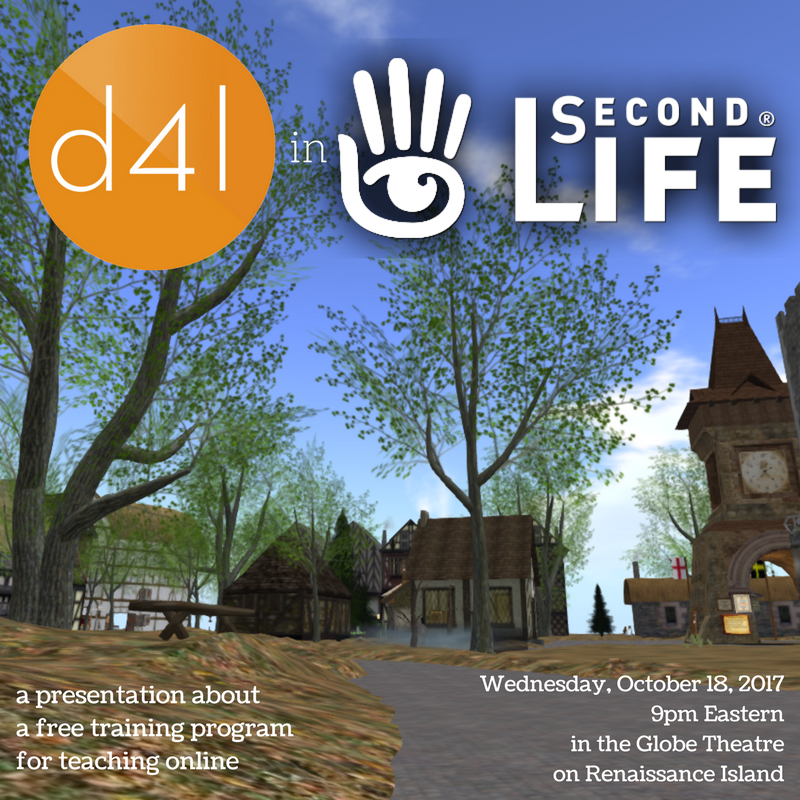 On Wednesday, October 18th at 9pm Eastern, a group of program developers, instructors, and alumni will be in the Globe Theatre on Renaissance Island to share their experiences with the D4L program. Come to our presentation to find out more about our free training program to help library workers develop teaching skills for online environments. Participants in the Design for Learning program (D4L) will discuss their experience in the program during a presentation hosted by the South Central Regional Library Council. Some alumni will present their Capstone projects for the program: a unit of online instruction for their library, developed during the program. Since 2015, the D4L program has been teaching library workers how to design instruction and teach online. Our first cohort began September 2015 and the second cohort began February 2016. They included participants from all types of libraries, subject specializations, and library experience levels, all over the country. Based on their experiences, all content has been revised to make it freely available to the national library community. This on-demand version of the program allows self-selected, self-paced experience, for free, available through WebJunction.org (at bit.ly/D4L-WJ). 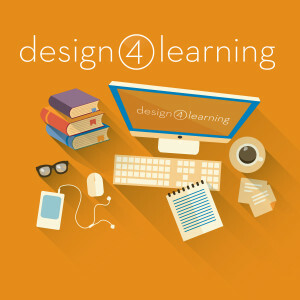 This presentation will introduce you to the D4L WebJunction program in case you’d like to learn more and work through developing your own online project with the support of a community of practice. Contact us at d4l@scrlc.org if you have any questions. Tagged alumni, presentation, Second Life.